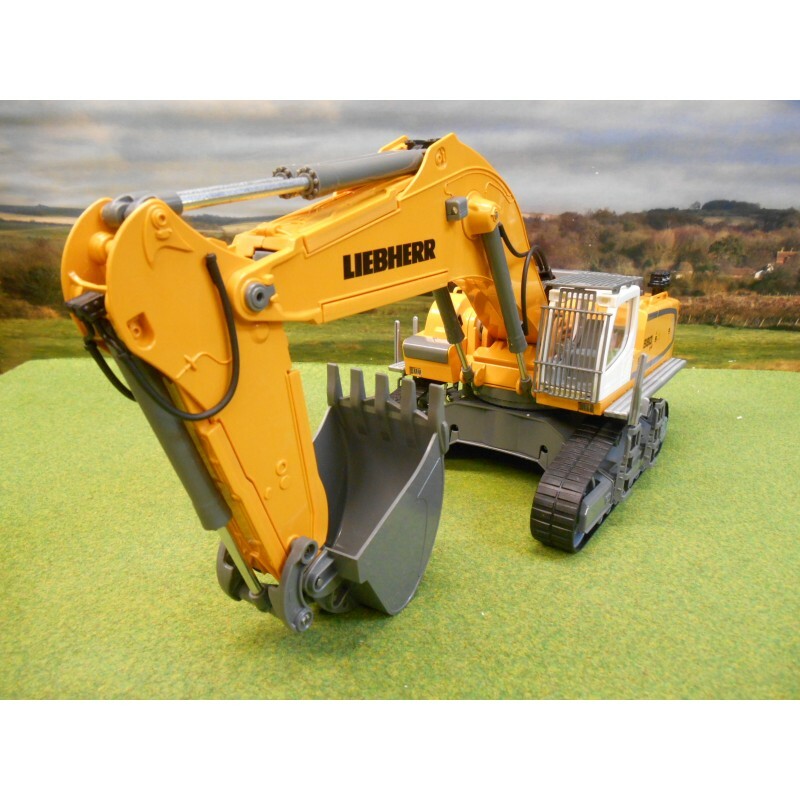 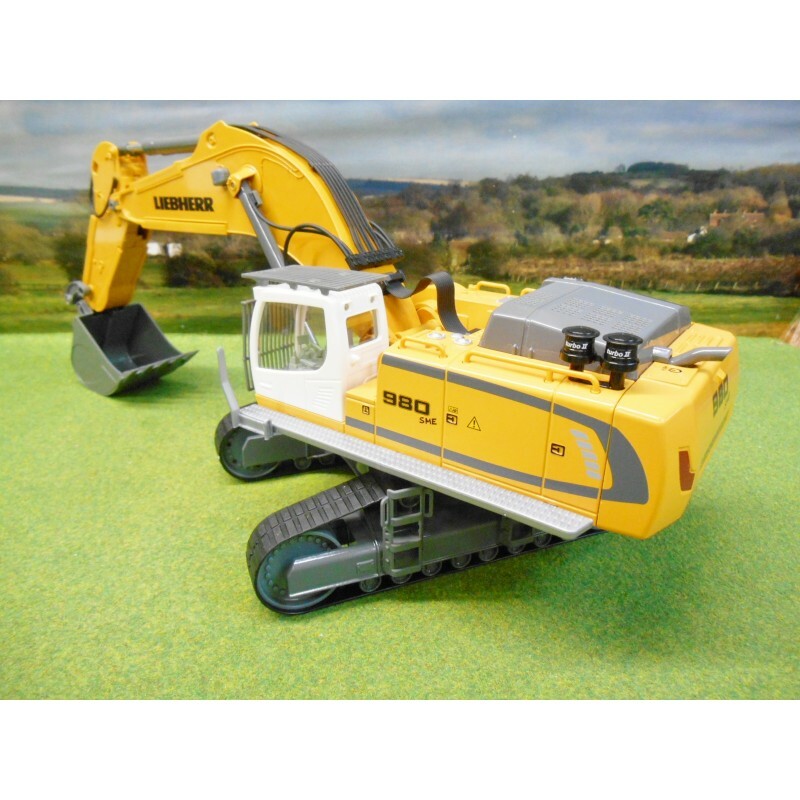 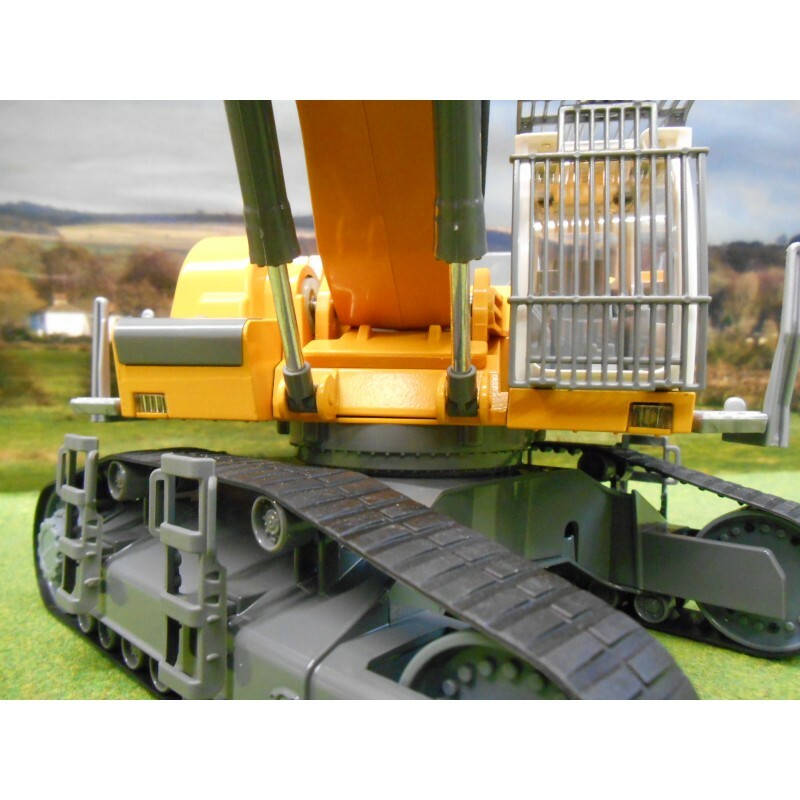 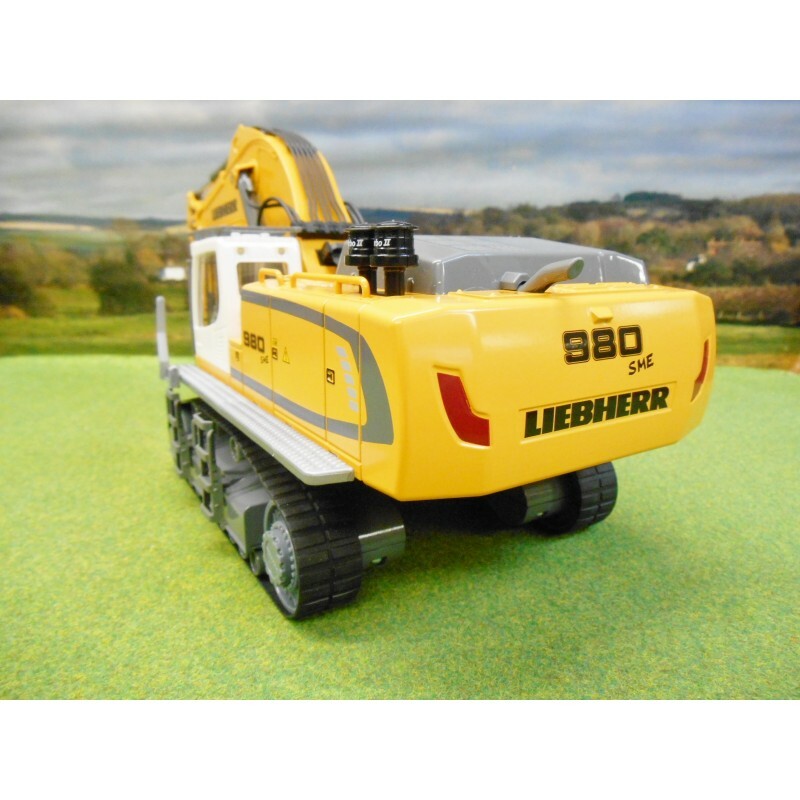 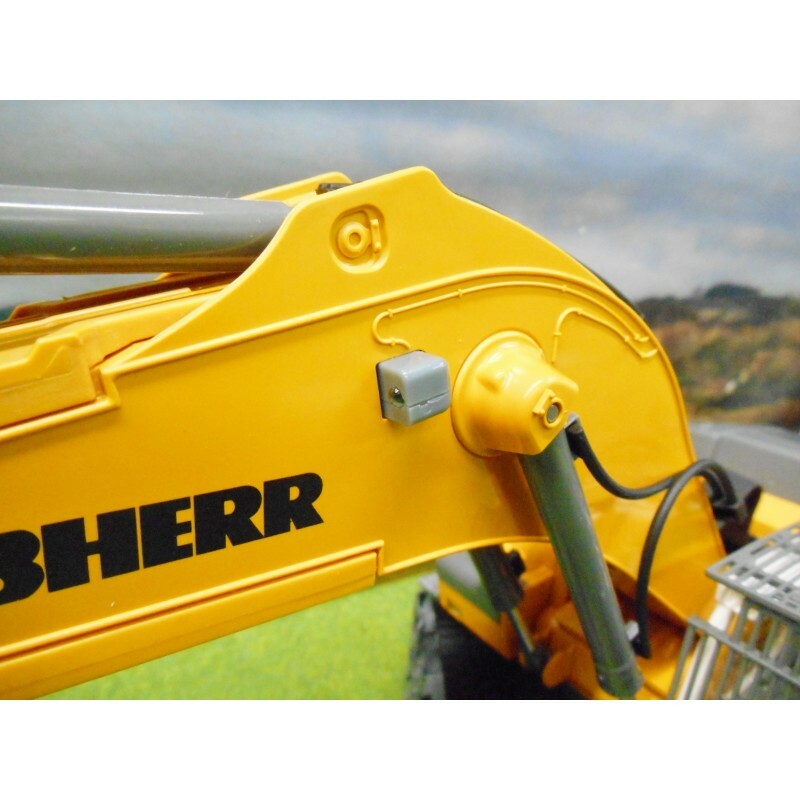 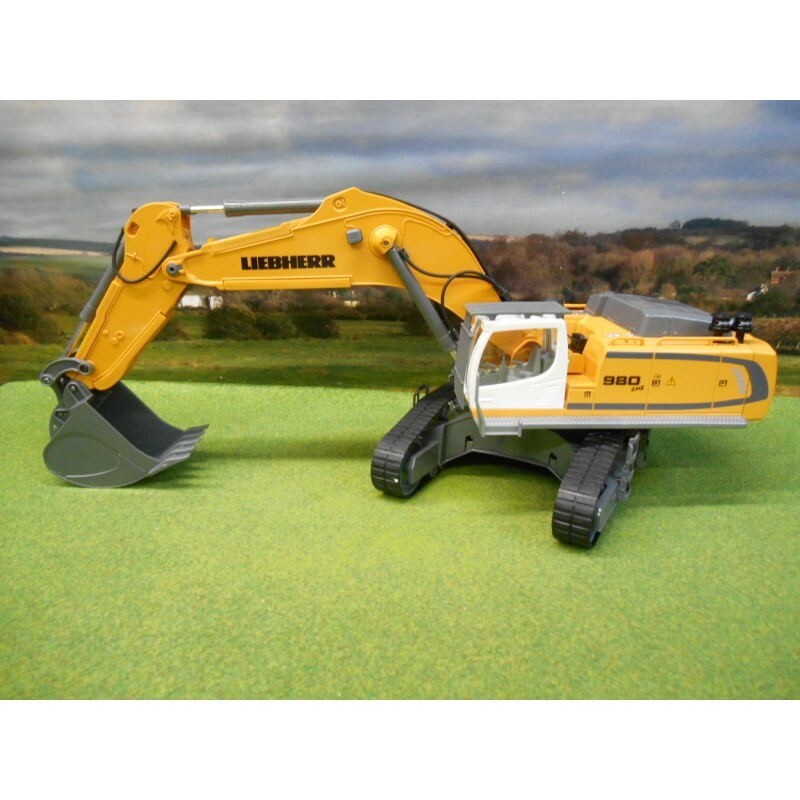 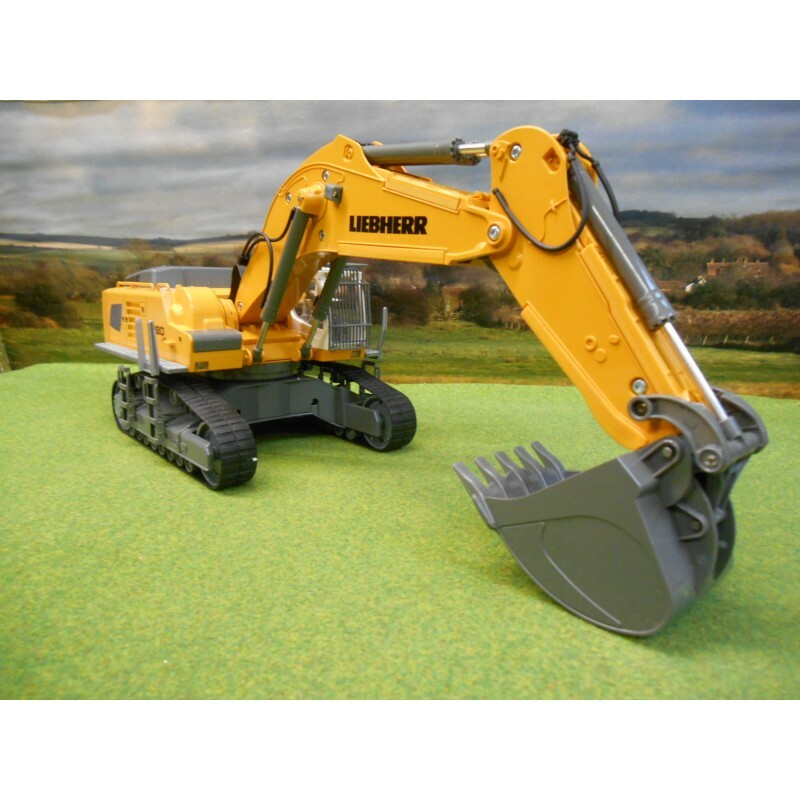 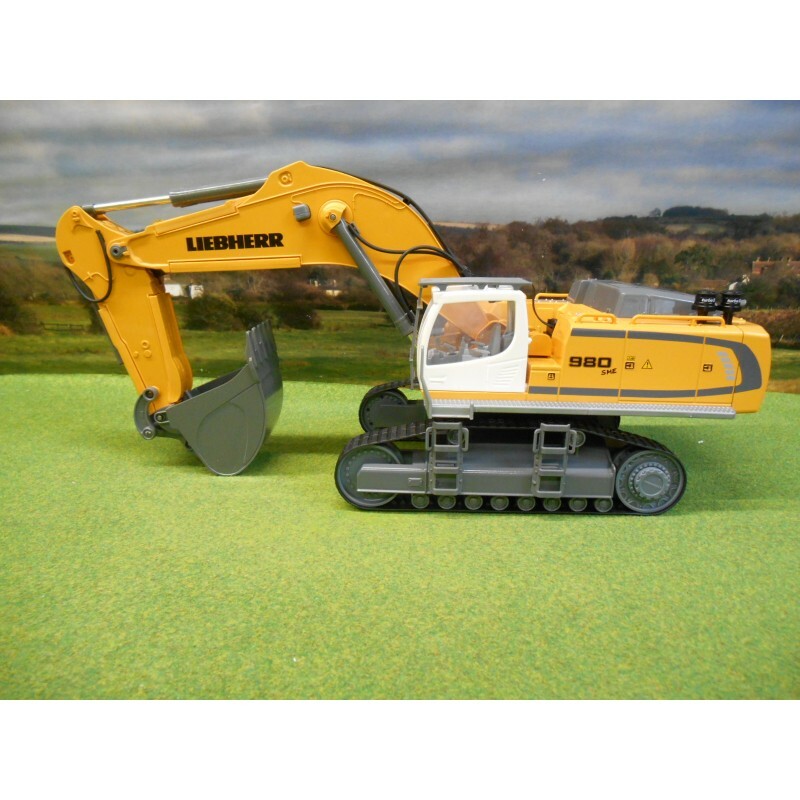 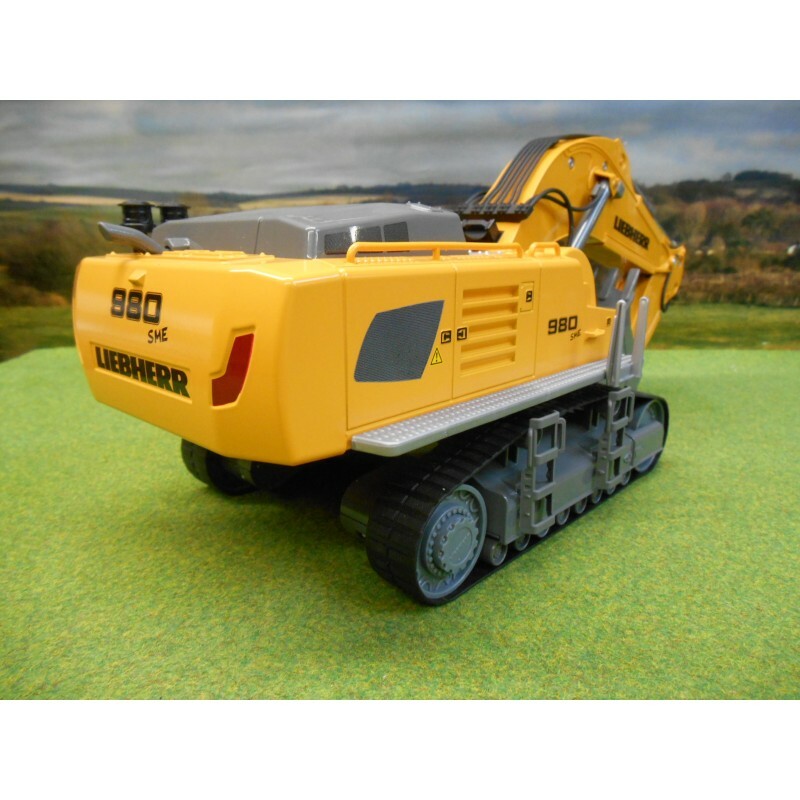 1:32 Scale fully functioning radio control Liebherr R980 SME Excavator. 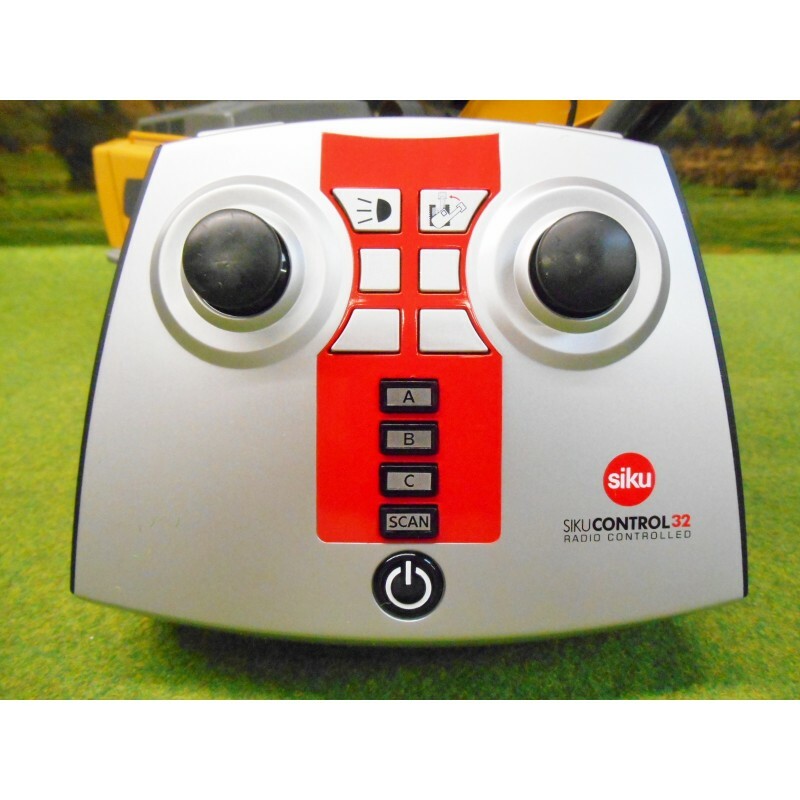 Absolutely loaded with hi-tech features and functions. 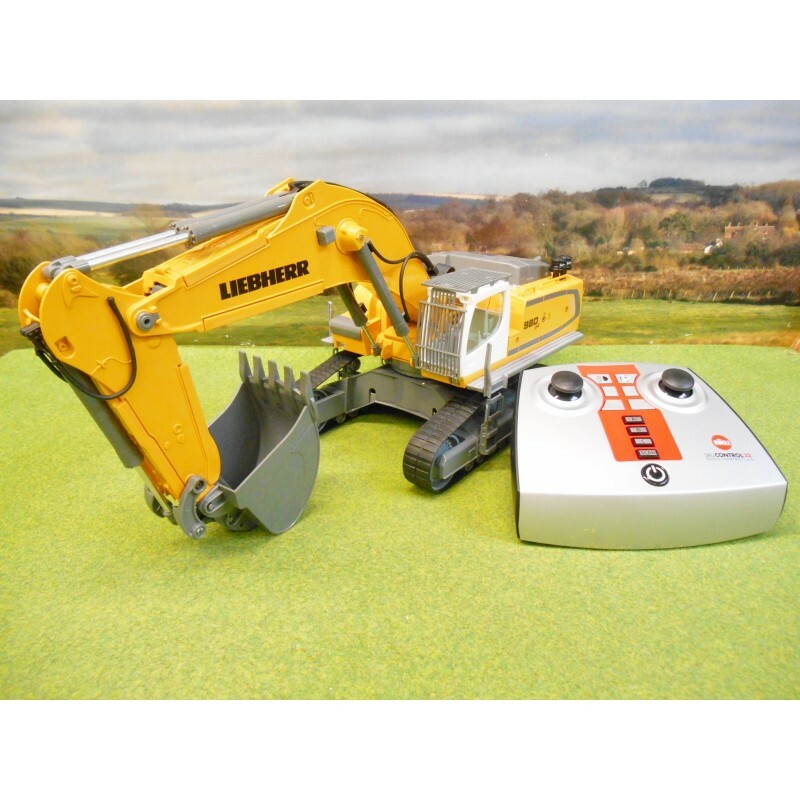 1:32 Scale fully functioning radio control Liebherr excavator. 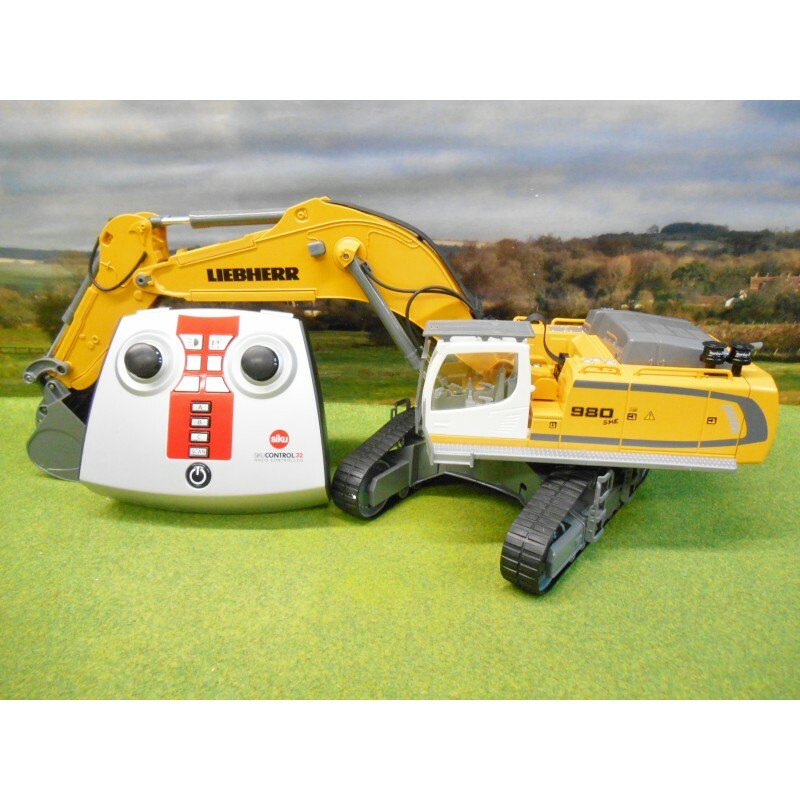 Excavator requires 3 x C batteries, radio control requires 4x AA batteries.